Scott's Web Log: Generic Insulin in 2008? Don't Bet On It. Generic Insulin in 2008? Don't Bet On It. Remember Insmed? 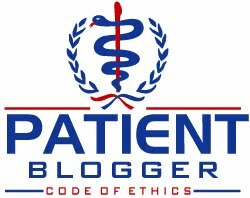 Well, back in February, I posted a story I called "Meet Mike Coleman", which was coined from the Pharmalot news story featuring a YouTube video entitled "Meet Mike, Your Generic Biologics Lobbyist". Well, this morning's Washington Post has another story on the company's marketing efforts to advocate legislation passes to permit biogenerics, which quite frankly, seems unlikely to pass in 2008, but I'd never say never when politics are concerned. One has to wonder, since the law currently considers insulin a "drug" not a biotech medicine, and under section 505(b)(2) of the Federal Food, Drug, and Cosmetic Act, a "generic" doesn't have to be an exact duplicate of the brand-name original in order to be approved by the FDA. So why isn't Insmed applying to make generic insulin and/or glucagon? As I wrote way back in early 2007, there is no legal impediment as such for making generic insulin right now. The problem, says California Rep. Henry Waxman and others, is that, notwithstanding its approval of an Omnitrope [human growth hormone] equivalent back in 2006 [which was approved only after the manufacturer, Sandoz, sued the FDA in court and won that lawsuit], the FDA won't issue statutory pathways for generic versions of biotech drugs to enter the market after relevant patents have expired. That's why he is sponsoring legislation to force the agency to create abbreviated pathways for biogenerics. As I explained back in my original article, the reasons are complex and messy, but largely come down to money. In fact, subsequent research from pharmacy benefits managers revealed that generic insulin (keep in mind this would only be the older varieties, not newer insulin analogs) could save $797 million in the first year, and an estimated total of $71 billion in savings over 10 years! Clearly, someone is benefiting from a de facto extension of patents here. In fact, Novo Nordisk sent a senior executive over from Denmark last year in an effort to scare legislators into reconsidering legislation on "follow-on" protein drugs as the FDA likes to call them. In February 2007, several state governors (several more were added subsequently) petitioned the Food and Drug Administration to release guidance on generic insulin. That was well over a year ago, and the status of a petition from the governors of 11 states? So far, the FDA's response has been to effectively give them the middle finger. The controversy continues! To add to the complexity, while some legislators pushed for legislation which would enable the FDA to make decisions on a case-by-case basis, more recently, the biotechnology companies have lobbied California Representative Anna Eshoo to give them patent exclusivity for a whopping 14 years, even though they enjoy prices that more than reward them for their research. The the summary of this saga? Well, don't expect much to happen this year. The various bills pending in Congress would need to be reconciled, and frankly, even though President Bush claims to support legislation to offer biosimilars, there doesn't seem to be enough time. Congress will only have a few weeks after August recess is over to resolve the huge differences in the different bills which have been proposed. But don't expect the bill to disappear. It will no doubt re-emerge in 2009, and depending on who is in office, there may be a Congress and President who are more in the mood for reforms which actually benefit U.S. taxpayers. i think i would like to put the image on my blog, would that be ok? your blog has been a great go-to for me being a brand-spankin' new type 1 this year.